SHEILA: Sometimes I wonder how much ordinary detail we as writers are suppose to put in our books. We know we need some backstory, some description for our cast of characters, a glimpse of where the protagonist and her crew lives, sometimes even details about the heroine’s wardrobe. What about the weather? Or the pet trying to drag her out of bed each day? But there’s one really important thread in our cozies: what do our characters eat? Can they cook? What’s in their pantry? Or do they forget to eat entirely? (I wouldn’t trust anyone like that.) I have more than one protagonist who doesn’t do much more than boil water, and they don’t all particularly enjoy cooking (although most do enjoy eating). But to make up for some of those lapses, in one of the Orchard Mysteries (Red Delicious Death), I invented an entire new restaurant in the town of Granford, which uses only locally-sourced foods (and the farmers are partners in the restaurant). I had a lot of fun doing the research for that, learning all sorts of facts about table turnover, pricing, kitchen equipment—and of course, recipes. What about your characters? With all those diverse locations in our books, many known for the local cuisine, tell us what your characters choose from the menu! LESLIE: What don't they eat? My protagonists are omnivores, and I wish I had their metabolism! But then, as Pepper from my Spice Shop series says, running in circles and jumping to conclusions is great exercise. Pepper works in Seattle's Pike Place Market and lives nearby, so her eating and cooking are inspired by the Market itself. She likes to see what's in season and how she can spice it up -- she's only owned the shop a short while, so she's still learning spicery herself. In the WIP ("work in progress"), she's working on next season's spice blends, so she's scouting for possibilities. (Which means we're taste-testing at home, too.) Her good friend Laurel owns a deli and catering company, so the food and drink at their Tuesday Night Flick Chicks gathering usually upstages the movie! Erin, the star of my Food Lovers' Village Mysteries, is all about local foods. Not so easy in Montana, but she has an eye and palate that go well beyond huckleberries and wheat. She's also got a big Italian family that gets together often, giving me a lucky chance to play with Italian food! Every book features a festival, and what's a festival without food? Popcorn seasonings for the food lovers' film festival, steak recipes for the annual grill-off, and coming soon, cookies for Christmas! DENISE In my three mystery series, my sleuths range from Dev, who does not cook at all, to Skye, who has learned to cook throughout the series, Dani who is a chef. But despite their various level of competency in the kitchen, the all love to eat and their curvy figures prove it. Dev and Skye enjoy the home cooking of their grandmother and mother, while Dani likes fancier fare. She loves to try new dishes and, of course, she has to taste as she cooks. DARYL: All of my series feature food. Charlotte in the Cheese Shop Mysteries ate cheese, of course. And lots of it. But she believed everything in moderation. I can't tell you how many cheese-y dishes I created so SHE could eat them. 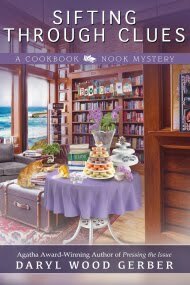 LOL In the Cookbook Nook Mysteries, Jenna doesn't cook (at first; now she does) but she was always a foodie. Because the Cookbook Nook abuts the Nook Café, Jenna is often visiting her chef and pal Katie for a snack, and Katie often brings treats to the shop for customers to enjoy. 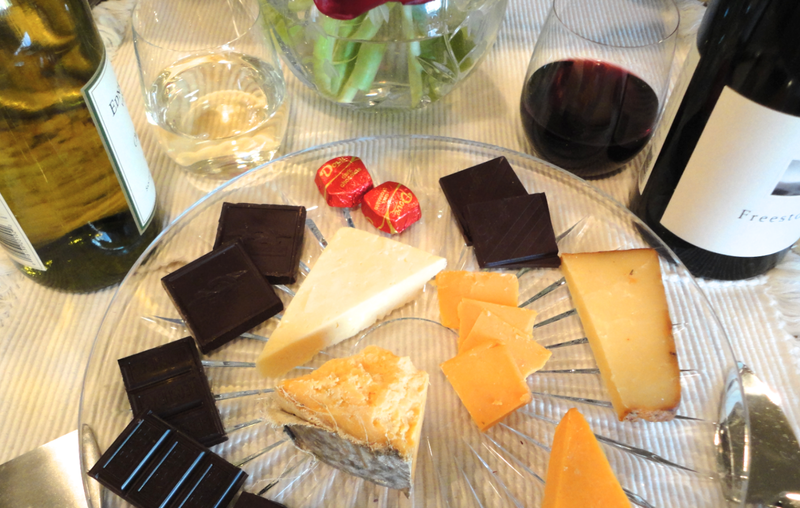 In the latest book, PRESSING THE ISSUE, all the treats were Renaissance-themed foods. I had a blast having Jenna taste meat on a stick, Scotch eggs, and sin-in-a-cup desserts. In the French Bistro Mysteries, Mimi was a chef but now she owns the bistro and the neighboring inn. She taste-tests the food the kitchen is putting out. She sets the menus. My cooking game has had to step up a notch to keep up with Mimi's tastes. I'm not trained in French food, but over the past year, I've learned oodles about the five mother sauces of France. 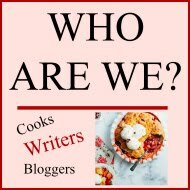 PEG: I love to cook and I love to eat, and I've been fortunate in that I've been able to sublimate some of my food cravings into my writing in order to spare my waistline! Gigi Fitzgerald from my Gourmet De-Lite series makes low calorie gourmet food for a number of clients and is a very good cook. Monica Albertson from my Cranberry Cove Series is an accomplished baker making all things cranberry--scones, muffins, cookies and breads. Her cooking is a little more pedestrian--her go-to meal is a steak on the grill and a salad. Shelby McDonald from my Farmer's Daughter series not only cooks, she grows her own produce and cans it, too! And then there's Lucille Mazzarella from my Lucille Series who doesn't think a dish is worth eating unless it's covered in tomato sauce and loaded with cheese. 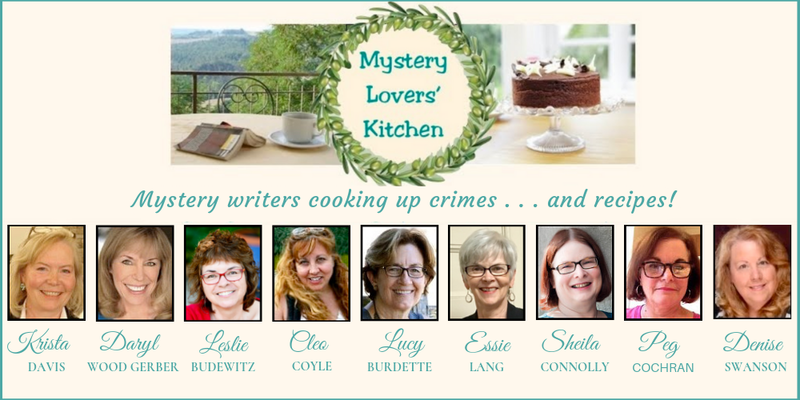 LINDA: My Dinner Club Mysteries are devoted to the foodies of the Culinary Capers Dinner Club. 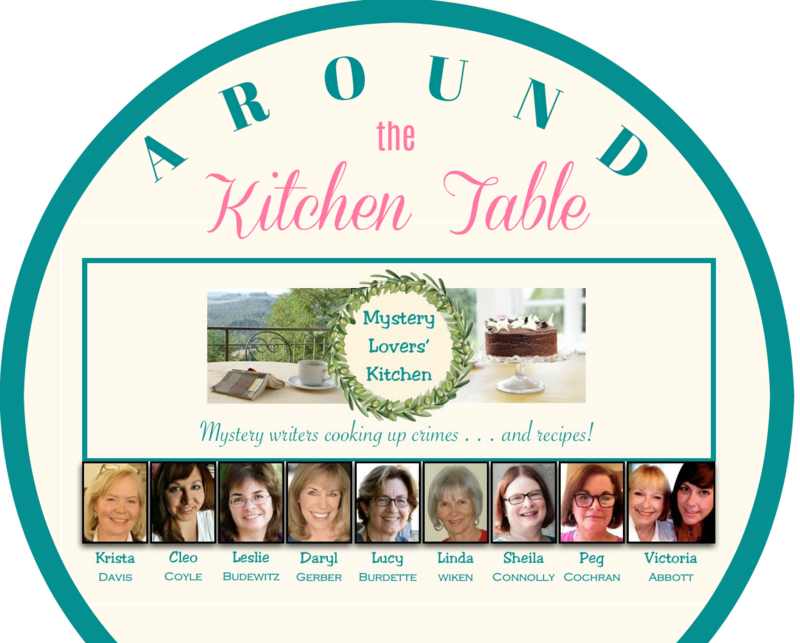 As the newest member, J.J. Tanner, my event planning amateur sleuth, is a newbie when it comes to cooking. But she's well-practiced in the art of perusing cookbooks, especially those with color photos. 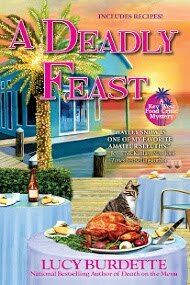 Her cooking skills develop over the three books of the series, and in MARINATING IN MURDER, the newest book which releases tomorrow (YAY!) she's gained a lot of confidence and even some daring. In each book, the foodies choose a real cookbook from which they put together their meal. Their latest adventure is an early fall picnic and they're using Summer Days & Balmy Nights. Did I mention, they love eating? 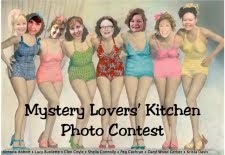 Krista: Obviously, the divas in the Domestic Diva Mysteries cook. I always say that everyone is a little bit of a domestic diva because we all want to live in lovely homes and eat good food. The divas represent a spectrum. Nina Reid Norwood doesn't cook at all. She has been known to order food and dump it into her pots to make it appear that she cooked a meal. In spite of that, Nina loves to eat and is always at Sophie's house noshing on something yummy. Sophie cooks a lot. In the summer she has a garden in her backyard where she grows tomatoes and fresh veggies. She tries to keep it simple, but there's no sparing the bacon, cream or butter. Her friends gather around her kitchen table (by the fire in the winter) to enjoy great meals in good company. Sophie often finds herself wedging into trousers with elastic waistbands. No one gathers at Natasha's house. She cooks the latest trends, mixing curious ingredients, often outrageously spicy, that don't always work out. She considers herself the best cook of all, but she doesn't eat. Over in Wagtail, at the Sugar Maple Inn, Holly doesn't do much cooking. But living in an inn has its perks and one of them is the food. Five mornings a week, hot tea, chocolate croissants, a dog biscuit and a kitty treat are delivered to her quarters before she even rises. Then she ambles downstairs and has her choice of gourmet inn breakfasts that often feature local berries and farm fresh eggs. Leftovers are distributed to needy locals, but a good bit also ends up in the "magic" refrigerator located in the private kitchen. 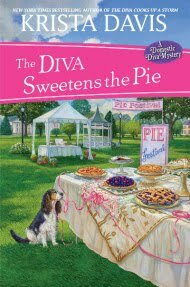 And lastly, Florrie Fox in the Pen & Ink Mysteries loves to bake. She shops at the local farmer's market and often bakes coffee cake or muffins to take to the bookstore with her. Happily for Florrie, her boyfriend, Sergeant Eric Jonquille, is the son of a restaurateur who runs a farm to table restaurant. Growing up, Eric learned to cook and is a wiz at whipping up a delicious breakfast to go along with Florrie's baked goods. 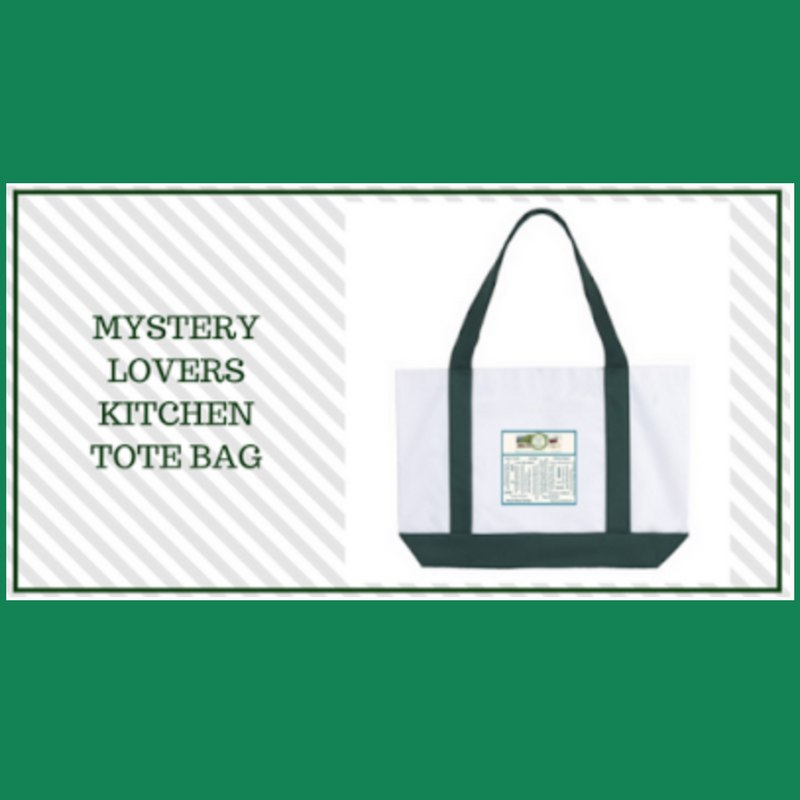 We have another MLK Around the Kitchen table totebag to give to one commenter. Tell us, what things have you learned about our characters by what they eat or don't eat? I love that answer, Liz -- it means we did our job! I love food mysteries! You learn so much about a person/character by what they cook and eat! Whether they cook at home, frequent certain restaurants or actually own an eating establishment, using those as a background for a mystery always draws me in! 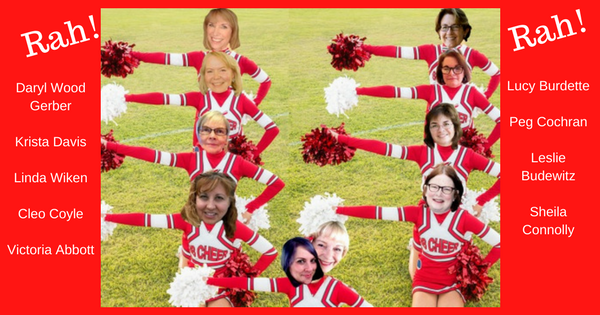 Thank you all for the amazing stories you write! I agree. I find cooking (particularly baking) soothing, and it leaves enough of your mind free to think about other things. And feeding other people can be a real joy too. You're so right, Casey -- our characters teach us a few things, too! I got a chuckle out of Sheila saying she doesn't trust characters who forget to eat because I tend to think the same way. My husband often "forgets" to eat lunch but I still trust him lol! I've learned to be careful in choosing any of the wonderful recipes all your characters have posted in the back of their books. If I made all the ones that can be converted to Kosher I'd be almost my current 200 lbs. I'm having fun watching young Rose in the County Cork series learn to cook. She started out of necessity when her mother died and her father was clueless about cooking, but now she's really interested. Will they serve food at the pub soon, do you think? I am very suggestible when I am reading your cozy mysteries. Often when I read about what the characters are eating and cooking, I go and make the same thing or go out to eat where I can get similar food because it sounds so good. More proof that we're doing our job! 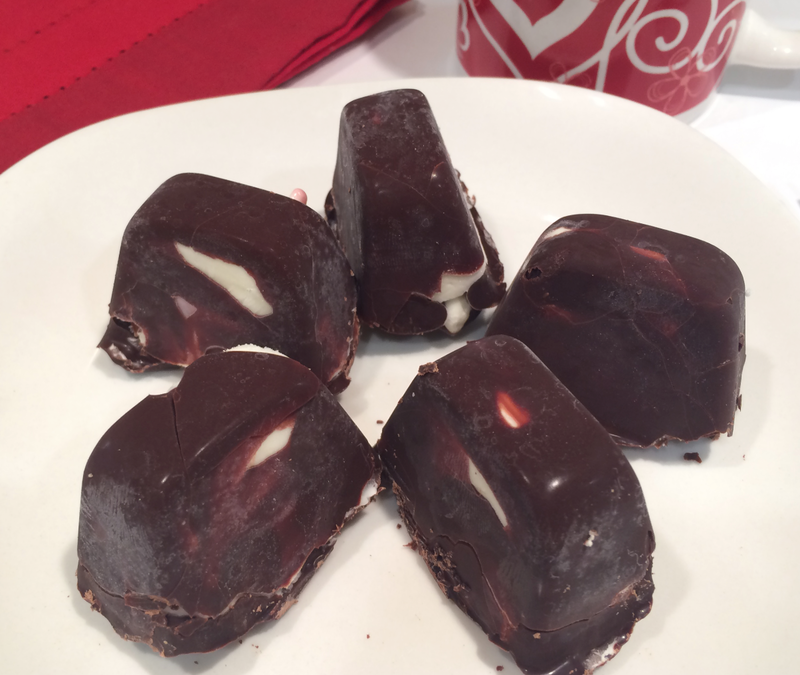 I'll admit, I occasionally eat something so yummy that I have to give it to my characters -- and readers! I love the details of what they eat! It just adds to the atmosphere! 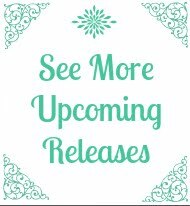 Even when the authors include decorating and seasonal dishware!Love the details in Krista Davis diva series and Daryl Wood Gerber cook book nook series! !